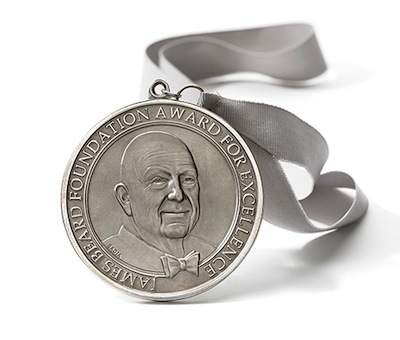 Atlanta scored big on this year’s list of James Beard Award semifinalists with a record number of nominees. Thirteen Atlanta chefs and restaurants made the cut (fourteen, if you count The Grey in Savannah). Finalists will be announced on Tuesday, March 24. Since 2010 Atlanta has garnered more and more nods from, what some call, the Oscars of the food world. In 2010, only six locals made the list. We inched our way up with seven in 2011 and eight in 2012. In 2013 we crossed into double-digit territory with 10 nominees. Last year, we hit 11 (counting Five & Ten in Athens). To state the obvious: things are looking good here. Below are the nominees for 2015 with a cursory look at their award history and a few personal thoughts. Angus Brown and Nhan Le’s seafood restaurant in south Buckhead made Bon Appétit’s list of Best New Restaurants in 2014. Kimball House opened in September 2013 and five months later was a semifinalist for this same category. Not long after, the oyster and cocktail haven took top honors on Southern Living’s 2014 Best New Restaurants. Although one if its chefs, Philip Meeker, left in November, the kitchen under Jeffrey Wall has quietly been ramping up its execution. Oysters still reign supreme, but the dinner menu is showing tremendous heart these days. Three words: ice cream sandwich. Moxley was nominated in 2013 as one of “The People’s Best New Pastry Chef” by Food & Wine. In May of this year, she was featured in the New York Times for using beets in her red velvet cake. The JBF nominated Bacchanalia in 2013 for Outstanding Service. That same year chef/owner Anne Quatrano was nominated for Outstanding Chef (she won Best Chef Southeast in 2003). Restaurant Eugene, in my opinion, would have been worthy of a nomination as well. Ford Fry is opening restaurants faster than you can flip an egg. Fry was previously nominated for Outstanding Restaurateur in 2013 and in 2014. I’d say his chances of winning are higher this year in light of St. Cecilia, King + Duke, The El Felix and Superica, although the last two just opened. By 2016 he’ll be an even stronger candidate: Fry expects to open another restaurant in Inman Park and his first restaurant in Houston, State of Grace. This hideaway in Concourse E of the Hartsfield-Jackson Atlanta International Airport was nominated in 2014 for this category. I’m kicking myself for not seeing this sooner. Neal McCarthy, co-owner and wine director at Miller Union, has built a serious list with fun by-the-glass options and deep pockets (anybody want to go halfsies on a 2004 Biondi-Santi Brunello di Montalcino Riserva for $775?). McCarthy has also proven that he can sniff out one bottle of Trader Joe’s wine from the next. For next year: I’ve got my eye on Juan Cortes at Restaurant Eugene, who is frontloading the wine list with the most impressive (and expansive) selection of Champagne (1964 Delamotte!). Also: Jordan Smelt at Cakes & Ale. His new wine shop in the bakery is giving him another outlet to showcase his talents. Grubbs should pick the song from The Lego Movie as his own personal mantra because “everything is awesome” when it comes to his awards. Look at this: He was one of Food & Wine’s Top Sommeliers for 2011; his selection at Five & Ten was recognized by Wine Enthusiast in its 2013 list of 100 Best Wine Restaurants; in 2014 Five & Ten was nominated by the JBF for Outstanding Wine Program; and in 2015, Bon Appétit called him one of the six sommeliers to watch. Here’s a newcomer to the award scene. Thompson previously helmed the kitchen at Iberian Pig. Allin has gotten the semifinalist nod every year since 2010, but has yet to become a finalist. Ever since his debut on season six of Top Chef, Las Vegas in 2009, Gillespie has made a list of some kind. The JBF named him a semifinalist for “Rising Star Chef of the Year” in 2010, 2011, and 2012. In 2014 his restaurant Gunshow was recognized across the board: a top 50 nominee in Bon Appétit’s Best New Restaurants, #7 on GQ’s list of 12 Most Outstanding Restaurants, and Best New Restaurant by Esquire. Ginsberg was a semifinalist in this category last year. Bon Appétit recognized The General Muir as one of the 50 Best New Restaurants 2013. GQ did the same in 2014 in their 25 Best New Restaurants. As of the late, Ginsberg has been killing it over at Krog Street Market where his sandwich stall, Fred’s Meat & Bread, and his Israeli street food stall, Yalla, are consistently slammed. Satterfield got the same semifinalist (and then finalist) recognition in 2013 and 2014. In 2010, Miller Union was a semifinalist for Best New Restaurant. Satterfield has a chance to become a finalist, in part because his cookbook, Root to Leaf, hits shelves next month. The 498-page tome is a comprehensive paean to fruits, vegetables, and nuts.